As mentioned before, TBs is highlighting some Videos with TECHNIC MOCs representing the same type of machines that LEGO is going to release on the 2nd half. 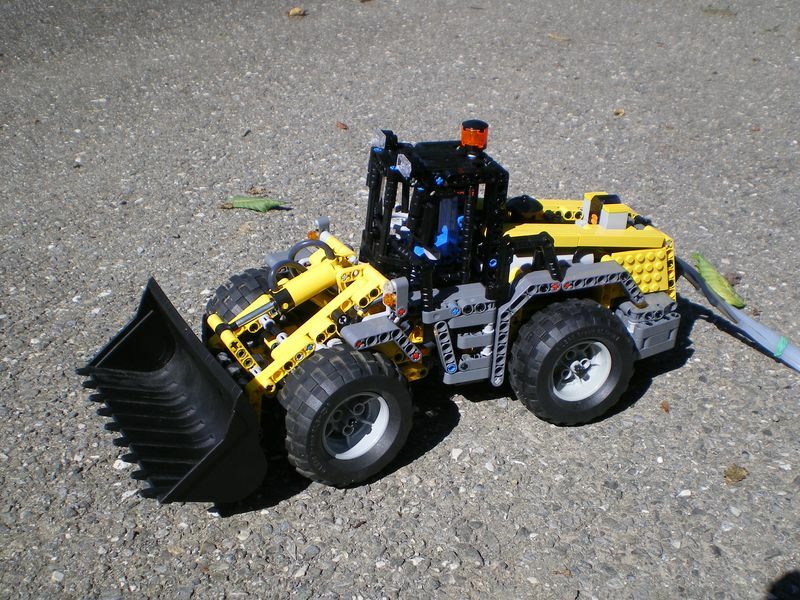 While we can't put our hands on the new 8265, let's take a look into the fully remotely controlled Wheel Loader from Nico71. As it is common in Nico's constructions, it integrates both PFS and TECHNIC pneumatic elements. Nico's prepared several videos from his Wheel Loader, which you may see also bellow. There are a few other videos on Nico's YouTube account for this same model (or very similar), from which I included also a steering test (on the right side). 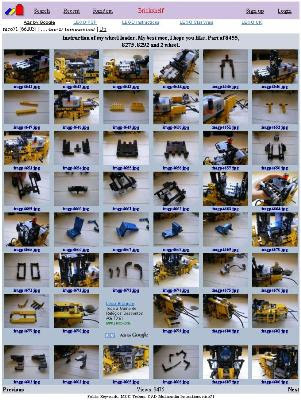 Just in case you want to build your own copy, Nico has prepared also building instructions into a photo sequence, as already usual for some of his models (Click over the picture below, to get there).